Yaraku, Inc. (hereinafter referred to as Yakura), who deals with product development based on translation technology, received the 12th (2017) “AAMT Nagao Award” by Asia Pacific Machine Translation Association (AAMT). According to the cloud-based translation support tool “Yarakuzen”, it is due to the fact that contributions to the widespread use of machine translation to the usefulness of the presentation and general business person in the machine translation service business has been highly appreciated. “AAMT Nagao Award” is awarded to individuals and groups who contributed to research and development for promoting practical application of machine translation system and practical application, and Mr. Makoto Nagao (authority of machine translation) President, President of Kyoto University, President of the current International Institute of Advanced Studies) awarded the “2005 International Award of 2005” as the opportunity. This time we evaluated our own product design for general business people within “YarakuZen” company and the results of using machine translation services by companies and users. It will be the winner following last Interop Tokyo 2017. 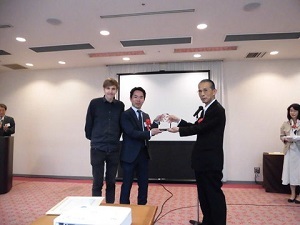 Hakuraku will further strive to research, develop and disseminate useful translation techniques and translation tools for on-site business persons, aided by the award of this tradition and formal award. It is a cloud type translation tool that supports translation and multilingual correspondence service of users in the company. Konica Minolta Co., Inc., United Arrows Co., Inc., stocks, stocks, stocks, stocks, stocks, stocks Hundreds of businesses and tens of thousands of users have already used companies such as company rice troops. ※ For details of YarakuZen please visit the following URL. “Developed Machine Translation Online CAT Tool” YarakuZen “and provided tools useful for general corporate people who are not specialists of translation to handle English e-mails, internal documents, various manuals, etc. There are tens of thousands of user registrations in more than 100 companies including large companies and the results of using the machine translation service provided by the tool are indicative of the usefulness in business, further developing practical use of machine translation It is suitable for the Nagao Prize in terms of points. Yaraku is a startup company that develops products based on Translation technology. Under the concept of “person + Machine”, we have offered high quality translation service combining Translation technology · UI utilizing artificial intelligence (Machine Learning) and professional translation by translators.